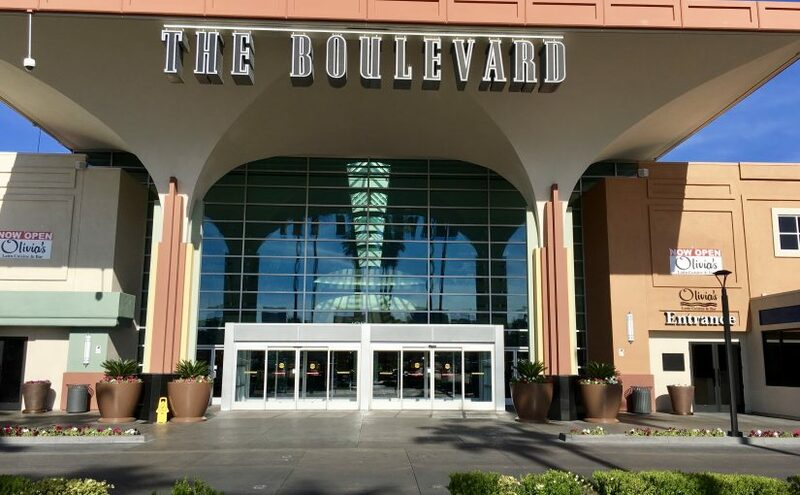 The Boulevard mall, a once-thriving Las Vegas shopping hub that slid in popularity and financial health over the years, was sold to local developer Roland Sansone on Nov 21, 2013. Sansone has been developing it since. 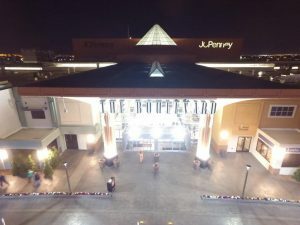 What was once an ordinary collection of stores is now a much improved, spectacular shopping and entertainment center. 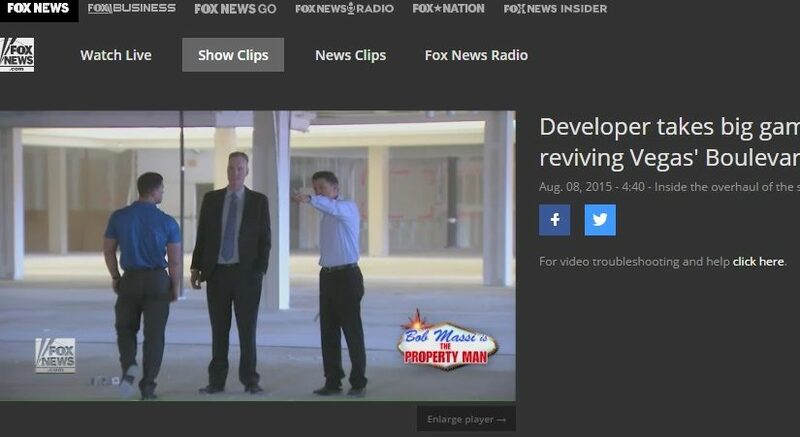 Watch the Fox News video below to see how Roland Sansone is redeveloping the Boulevard to change lives in the inner city community. When you’ve built one of the foremost development companies in a city known for building great things, you learn a thing or two about success. So it is with Roland Sansone. When he founded the company that bears his name, Sansone Development, back in 1978, Real Estate Developer Roland Sansone, started by focusing on fixing up older homes. Eventually, he transitioned his company to custom homes, followed by professional office buildings and retail shopping centers. 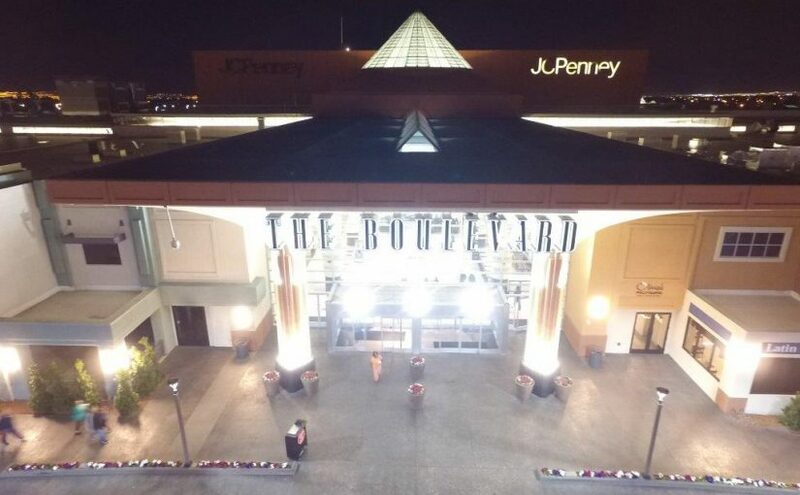 Eventually, the company’s efforts culminated in the purchase of Nevada’s oldest and largest mall – The Boulevard, totaling 1.2 million square feet and originally built in 1968 by Moe Dalitz, Allard Roen and Irwin Molasky. 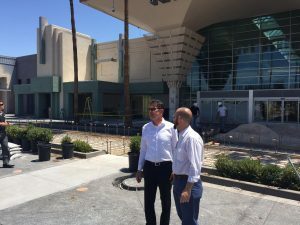 This $54.5 million purchase was followed by $44 million in upgrades, completely re-imagining this iconic Las Vegas location into a brand-new community hub where people and families can meet for entertainment, dining and shopping. “As our city has grown, so has Sansone Companies,” said Roland Sansone. 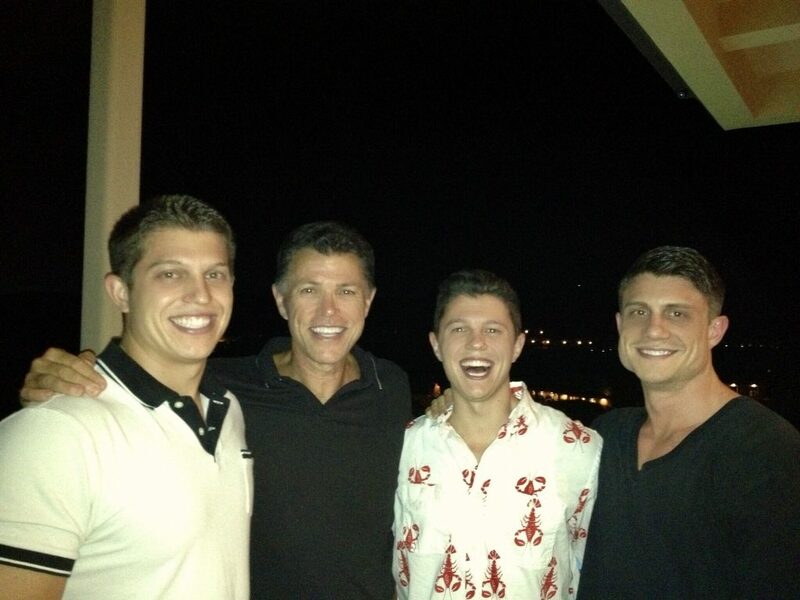 “No matter how big we got, we never lost sight of our core values, and on putting the customer first, no matter what. 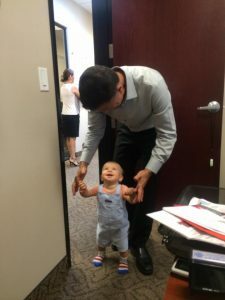 Even though we build and develop, this is still a people business, and you can’t lose that human touch.” As a testament to this, during the Great Recession Roland Sansone helped many tenants weather the bad economy to his own detriment, and lost some properties to the lenders. 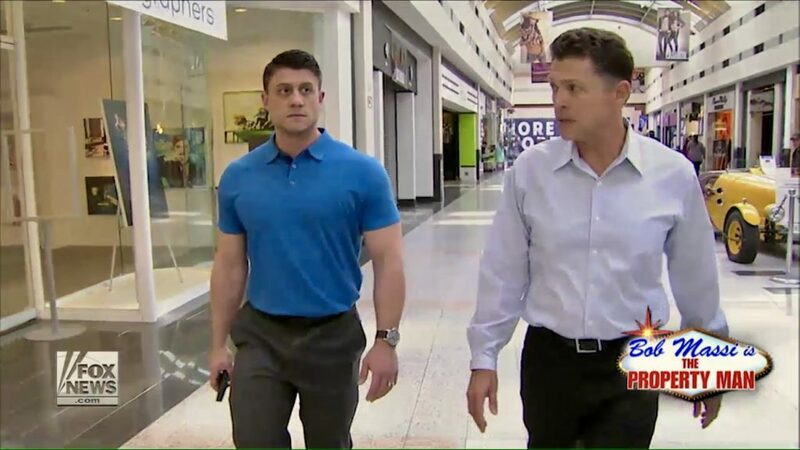 Those core values include five principles that the company – led by Roland Sansone’s sons Miles Sansone and Devon Sansone– still lives by today. There’s no greater hazard to a business than trying to do too many things. All too often, the result is doing none of them right. Developer Roland Sansone has focused on different aspects of development throughout the lifetime of his company, but never on too many things at once. Sansone Development by choice is not a contractor, architect or an engineer. This allows Roland Sansone’s company to find the best people and firms to help with each of the developments. Initially, the focus was residential remodels. Then, large custom homes. Following that, professional office, medical and retail space. 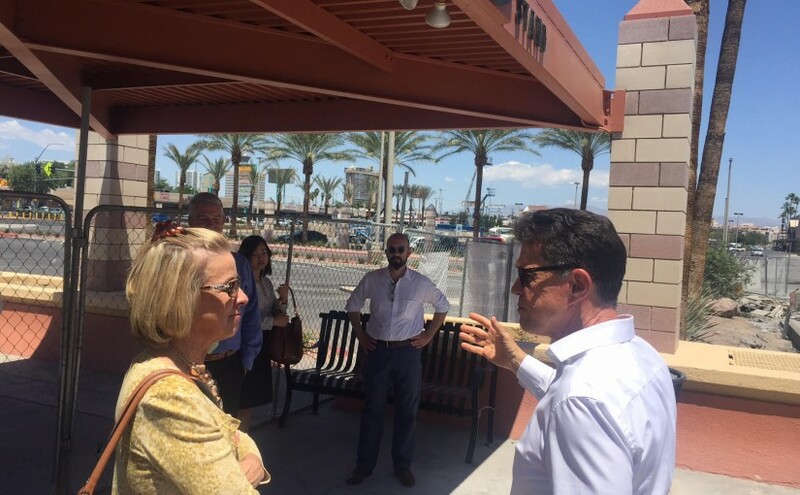 And finally, the focus became creating the new heart of a community in one of Las Vegas’ most storied corridors – The Boulevard on Maryland Parkway. This bold venture to redevelop and fix The Boulevard neighborhood was quite an undertaking; it has taken Roland Sansone over two years and a lot of work. 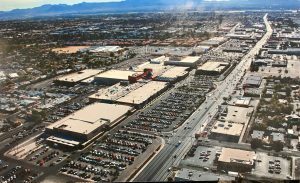 As you drive North on Maryland parkway from Russel, to Tropicana, to Flamingo and past Desert Inn you will see enormous investments coming and changes to the Maryland corridor. For its size, Las Vegas is famous for being a small town in a lot of ways. That means people who burn bridges don’t last very long here. That kind of culture is ideal for an organization like Sansone Development, and for professionals like developer Roland Sansone. Doing right by customers, tenants, investors and partners is the bedrock of not only completing major projects, but also in ensuring that more of them come your way. 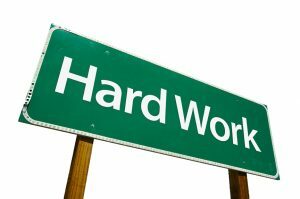 If you love what you do it will never be hard work. At Sansone Development the staff looks forward to coming to work because of the love of the job, the team effort and the comradery that occurs at the office. But putting in your best effort, day after day, is the mark of a true professional. Those are the kinds of team members developer Roland Sansone surrounds himself with at Sansone Development. 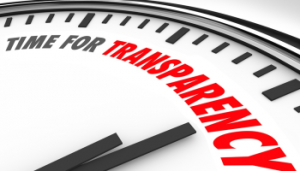 We hear a lot about it in government, but transparency is essential in the private sector, too. 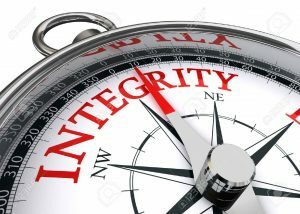 In a lot of ways, it’s the secret behind a lot of other great core values, like integrity and honesty. 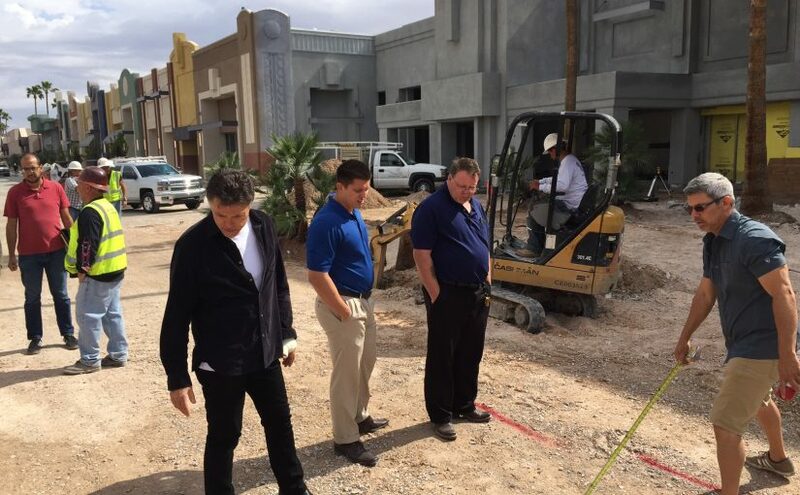 For Roland Sansone’s industry – commercial development – it’s even more essential. Working with diverse partners makes it crucial that all parties are open and transparent. 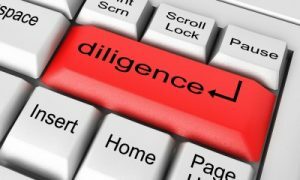 Five core values – focus, integrity, diligence, hard workand transparency. 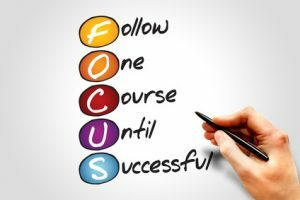 These are the principles that have fueled the success of developer Roland Sansone and the developments his company has created. 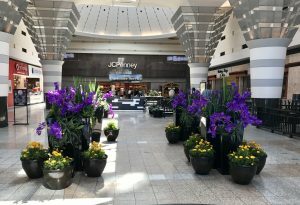 When Roland Sansone bought the iconic Boulevard Mall for $55 million, that investment was only the beginning. Now called “The Boulevard”, this one-of-a-kind destination is now more than just shopping, offering an experience that encompasses entertainment, dining and shopping. So with the arrival of the Las Vegas’s newest entertainment epicenter, here are a few surprising experiences Sansone Development has put together at The Boulevard. It’s got things to do, not just things to buy. Roland Sansone envisioned something completely for Las Vegas’s favorite mall – in fact, it’s not just a mall anymore. The Boulevard is a place for families to gather for fun and entertainment. 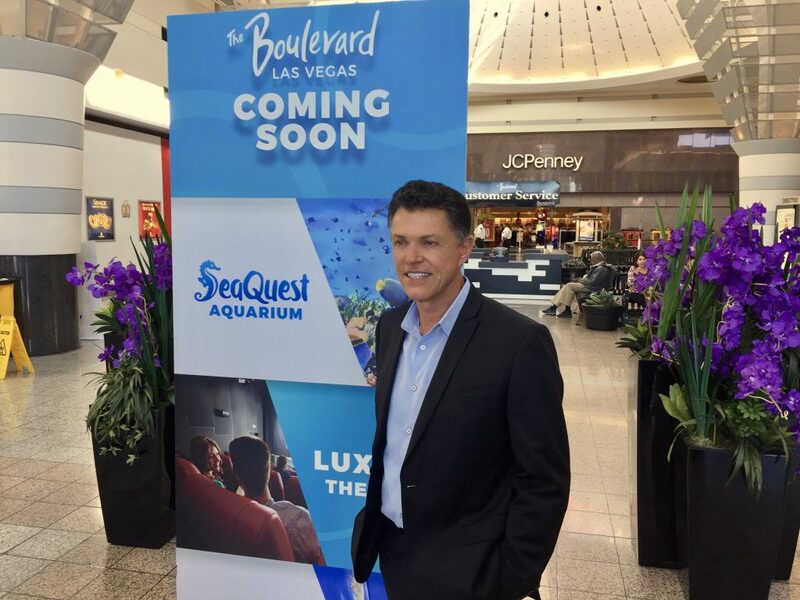 In addition to the great diversions already on offer, The Boulevard has completely new experiences coming soon – including Seaquest Aquarium, an upcoming luxury movie theater; a trampoline park and much more. Roland Sansone is building a community resource. Sansone Development envisioned a place that would serve as the heart of the community, so they’ve carefully assembled a collection of community-centric services that would help make local residents’ lives better. Look to The Boulevard for employment, with jobs to be found at an on-site call center; healthcare, with the addition of an upcoming clinic and dentist’s office; and the area’s leading Goodwill center (with customization of the retail space paid for by Roland Sansone and Sansone Companies). The Maryland Parkway corridor is an important part of our city. With the revitalization of The Boulevard, now there’s a new heart of this important community hub. By completely reimagining the largest mall into the state, transforming it into an entertainment and community nexus, there’s now a groundswell of development activity in this part of the city. 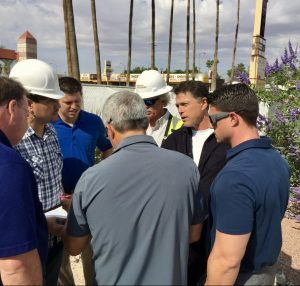 Sansone Companies has doubled the lighting at the site, enhanced safety, installed energy-efficient LEDs, revamped the landscaping, and provided much-needed upgrades from Tropicana to Sunrise. It’s part of our city’s future. Roland Sansone realizes that to recognize the vital importance of the Maryland Parkway, look no further than the Regional Transportation Commission. Currently, the RTC is studying the feasibility of a light rail system that connects McCarran International Airport to Downtown Las Vegas via Maryland Parkway. The Boulevard is proud to be part of these bold steps forward. Roland Sansone recognizes the importance of families. It’s not enough to build a mall. 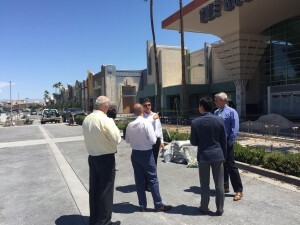 Roland Sansone and Sansone Development have set out to create a new heart of Las Vegas along one of its most vital corridors. The Boulevard is just the beginning – from here, there’s no telling where the momentum might take us. 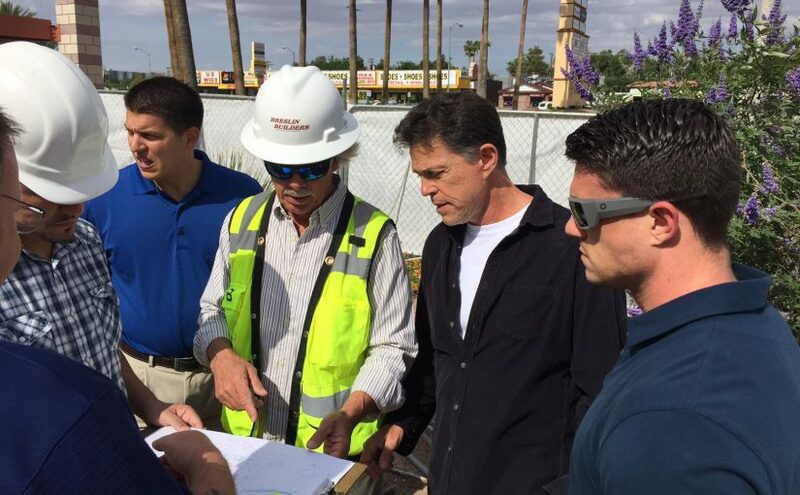 Together, Roland Sansone and his development partners are making Las Vegas better – one development at a time. As part of their ongoing renovations, Roland Sansone is helping to bring in popular new stores and restaurants to regain its foothold in the community. What makes the newly remodeled Boulevard Mall in Vegas so invigorating is the wealth of new possibilities. The whole goal of the recent Boulevard Mall upgrades is to enhance what guests already love while eliminating what doesn’t work anymore. One segment that is getting a big boost is the dining experience, thanks to the upcoming opening of the Hatari Restaurant & Sports Bar conceptualized by Roland Sansone and others at the Mall. Sports fans surrounded by dozens upon dozens of large state of the art television screens streaming all the favorite local and international sports games including basketball, football, UFC, boxing, tennis, baseball, and more. There will be live streaming South American soccer games and European Soccer games to cater to the diverse neighborhood. Décor – This bar will look and feel like no other in Las Vegas. The entry will have a stunning chandelier hanging from a high vaulted ceiling. Each table will be a design by a highly respected and sought after designer coming out of LA. The chairs will be comfortable and plush. The bar will be a beautiful quartz material. The lighting in the dining area will be modern and soft. There will be two patios, one patio that will be open for those who enjoy sitting outside that has gas heaters and coolers making it comfortable year round. The other patio will be enclosed and have tons of televisions so our guests can enjoy the game while enjoying the natural light. Roland Sansone and his team do not stop there. For the Menu – The Executive Chef brings over 15 years of restaurant experience and will ensure that you will be delighted by everything on the menu. We will have a traditional bar menu with a twist. We will offer elevated upscale versions of modern bar food like wings, burgers, and pizzas. We will also have some signature items including Queso Fundido topped with Carne Asada, Cajun Chicken & Shrimp Pasta, Hatari Venezuelan Burger, Indian Samosas, and New York Strip Steak served with our unique Hatari sauce. Also, this will be the only bar of this magnitude that has a tandoor oven, which allows us to cook tasty ethnic dishes quickly and with maximum flavor. Other dishes include popular Tandoor dishes, such as Tandoori Chicken, Chicken Tikka, Tandoori Lobster, Tandoori Lamb, and several types of Naan (which is a highly popular Indian Bread). Drinks – Welcome to the home of the 99 cent beer. There will a drink for every taste and occasion. From the vast beer menu to the specialty cocktails prepared by innovative mixologists, fine wines, and dessert drinks. Roland Sansone and his team also took a look at the options for Entertainment. There will be a large stage featuring live bands, DJ’s, live comedy, Karaoke, and more. Every night will have a different flavor – dance the night away with your Latin passion during Salsa night, rock on during the rock-n-roll night, line dance to your country favorites, sway back to the 90s, get your 70s groove on, and light up the present with EDM. Get into the game when you come to our Super Bowls parties, March Madness Bonanza, and playoffs for all sports. Also planned are interactive games around the restaurant, including interactive sports trivia games. Vegas is still a growing and maturing city that is ready to compete with the large hubs of California, Denver, Arizona and Texas. The Sansone Companies and Roland Sansone feel that to properly compete with those markets, mass transit has to improve, not just within the city, but to and from California as well. One success stories, Portland, where they now have an excellent vehicle ride share and light rail within the city. 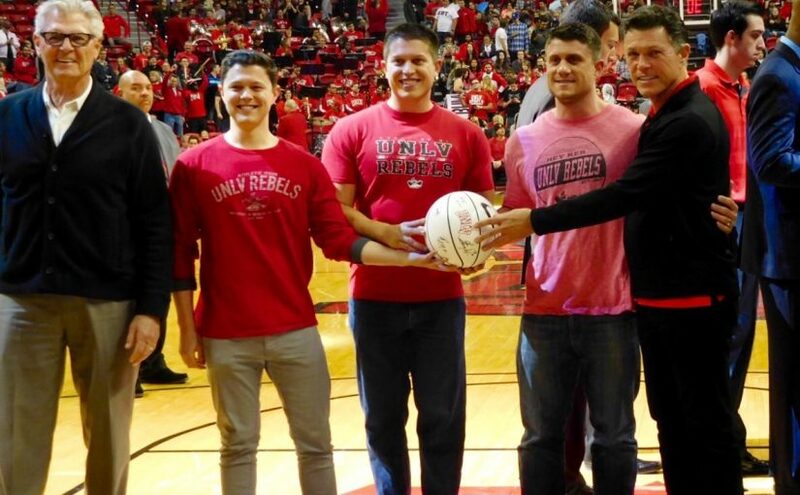 What are some other things we should do in Las Vegas to compete? The entry into Las Vegas (from the Airport) needs to demolish the remaining homes and buildings that are dilapidated and welcome a more inviting image of coming into Las Vegas. Finally, we need an almost re-imagination of Las Vegas, a place that adults play, but also work as well. A place where highly intellectual individuals can bring their families in an affordable environment (tax, housing and lifestyle) that is a short drive or plane ride to any weekend getaway that they want. 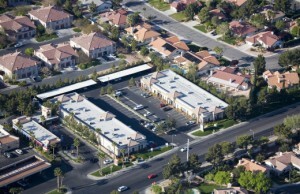 The SouthWest part of Las Vegas has one of the largest data converging areas in the United States. There is also an Expansion of industrial hubs in Las Vegas, most notably, the COH’s desire for a 55-acre master land project. Here is a Commercial Property tip for those of you in commercial development and looking to buy land right now. Finding commercial property in today’s market is challenging. Land bankers feel their land is worth 2008 prices, $800k – $1M per acre, but a project does not pencil at those rates. In our business, we call that a Land Banker, someone sucking out the first years of profit for a center. To clarify, when buying a piece of land at the $800k-$1M range you would need a rental rate of $3.25-3.50 to stabilize the center for permanent financing, and your forecast would take 2-3 years to realize those rental rates to tenants. So, for all of you commercial land buyers that are looking, if you buy the Land, they are taking your profit spread from your lender for the first several years until you reach a rate that permanent financing reaches a stabilized debt service. 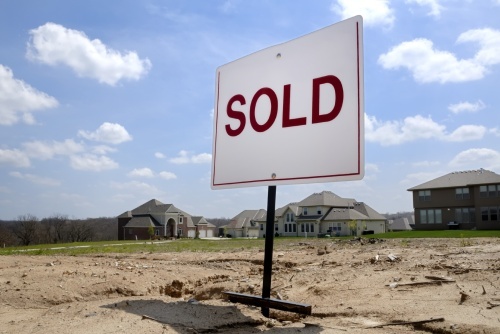 Just take caution and be smart when finding land for your next commercial property.